Brazilian film Nise – The Heart of Madness won the Tokyo Grand Prix and Best Actress Award (Gloria Pires) and concluded the 28th Tokyo International Film Festival. 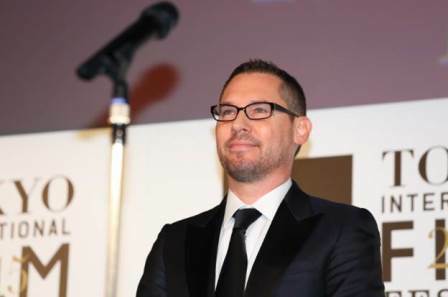 Director Bryan Singer -Competition section jury president expressed his respect for the 16 films which entered and gave his feedback on the trends of this year. Five of the six jurors were directors, making the same configuration as last year. The jurors were unanimous in their choice of Nise – The Heart of Madness. Family Film —a collaboration between five countries including Germany and the Czech Republic was the disputed rival of Nise, and in the end, it was awarded for the Best Artistic Contribution. The Turkish and Hungarian collaboration Cold of Kalandar for which Mustafa Kara was awarded the Best Director was given serious renewed consideration by all jurors after a strong recommendation from director Tran Anh Hung. “Family Film is the story of a secret exploding that nobody knew about -a boy who becomes a man and a solitary dog; three stories which are cleverly woven together and we all felt strongly that it deserved an award. When I first saw Cold of Kalandar, I wondered why that much time was needed to tell the story when it didn’t have much to say, but after listening to what Tran had to say and thinking about it from a director’s perspective, I began to realize that it is actually a considerable challenge for a director to show that amount of realism. However, he had a regretful look on his face as he said. Personally, he liked the lead roles in God Willing performed by Marco Giallini and Alessandro Gassmann. He said that “those two actors were really amazing. As an entertainment film, it was really good but thinking from the film festival’s artistic level of standard, it required a little something more and I wasn’t able to win my battle. However, when I heard that it had won the Audience Award I thought ‘well look at that’. Unfortunately, there was no time to ask his opinion on the three Japanese films which were not awarded but he said it was “really hard watching 16 films in 10 days”. He revealed his honest opinion. There seems to be truth in this -he attended many other events in addition to being a juror, and in between all this, he even attended the promotion for his latest X-Men film X-Men: Apocalypse, due to be released nation-wide in the USA in May of next year. Even so, he appeared quite inspired as a director, thanks to the lively discussion shared for many hours between directors from different countries.